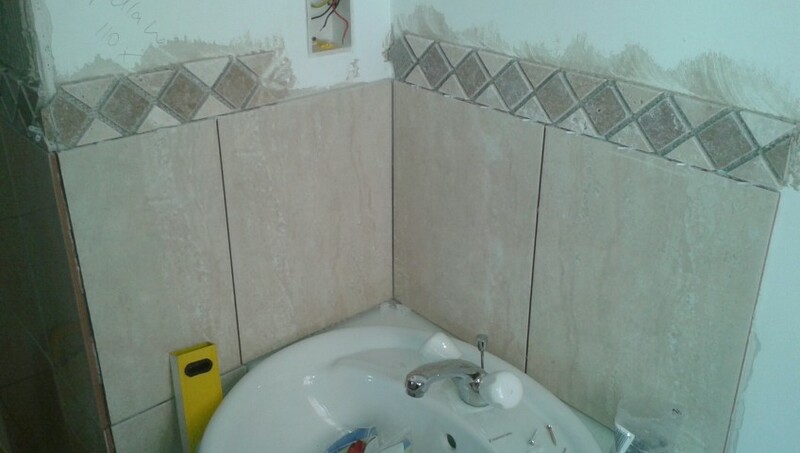 We were asked by this customer to completely re-install their en-suite shower room, update the design with new tiles on the walls and also the floor because some were cracked. Because one of the plasterboards behind the tiles was mouldy we erected a completely new timber studwork. The studwork was boarded out with a special moisture resistant plasterboard before any plastering and tiling took place. We made sure the studwork fitted perfectly around the shower tray and the glass doors to prevent any leaks and ensure the shower room will be watertight. Then we fitted the wall tiles and floor tiles were cut and fitted before the actual shower installation. The shower enclosure is then grouted and all internal corners sealed with silicon. 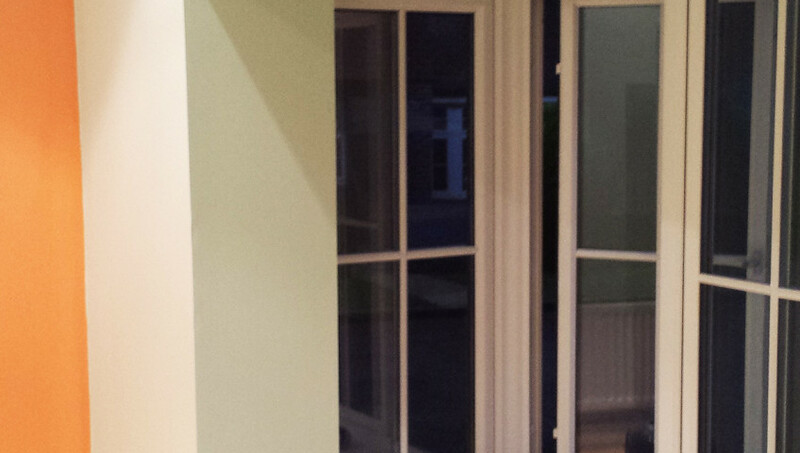 Then we’ve done the joinery work, fitted the skirting boards and the door. The walls had to be painted, we used paint specially for bathrooms. Underneath the rim of the shower tray we made a frame for any future repairs to the waste. The frame can be easily removed and then put back on. The last bits to do were grouting the floor tiles, sealing the internal corners with silicon and hanging the shower door and mirror. Customer called Fix It Surrey to sand and varnish their garden furniture ready for the summer. Using a specialist exterior wood stains and varnish we have painted the furniture protecting it from the weather elements, rotting and discolouration. 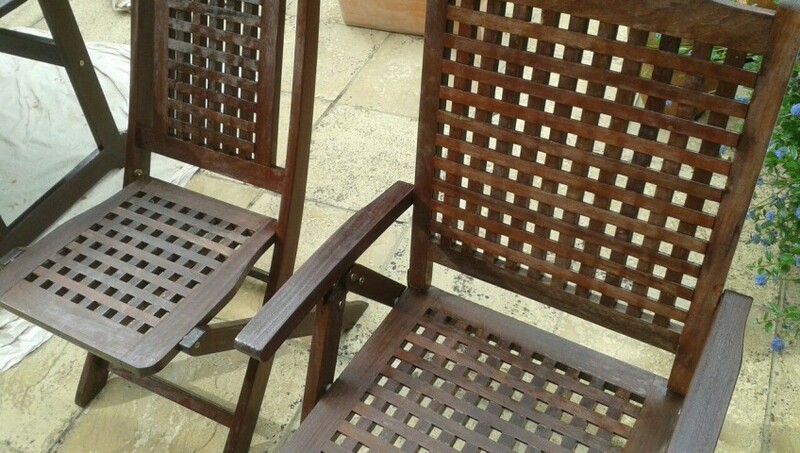 To keep your outside wooden furniture looking its best it should be treated on a regular basis. You can prevent the signs of everyday use by regular varnishing. Client required a simple colour refresh. 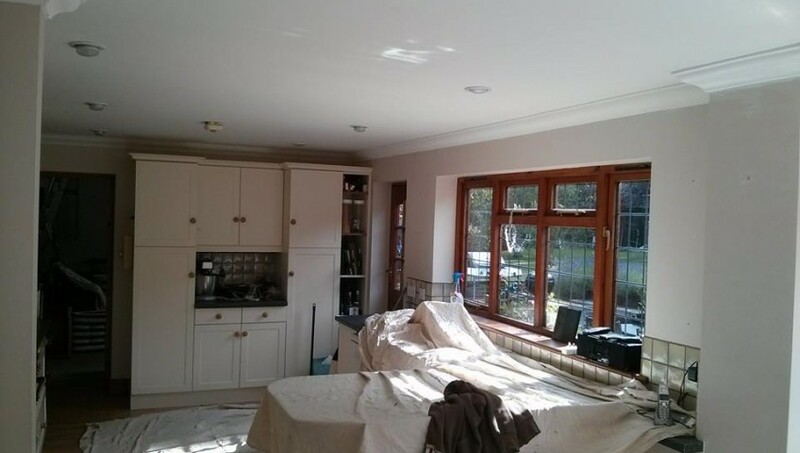 This job was straight forward painting and decorating of 4 bedroom house in Milford, Surrey. Client has contacted FixIt Surrey with request to paint and decorate 5 bedroom house in Guildford. Children’s rooms required a bit of extra preparation work due to wall stickers. Requirement was to put up some extra shelves and to make the rooms lighter with a bit more exciting colours.